Debby's Designs Dropped Waist Jumper Uniforms make an excellent gift. Imagine the thrill for your child to have her American Girl Doll wearing her matching school uniform. 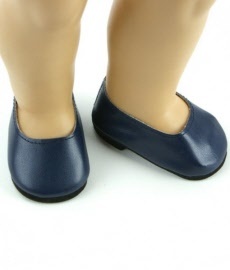 Doll School Uniforms will be a special gift for any occasion. They make a great present for a Birthday Party, Kindergarten Graduation or First Day of School. 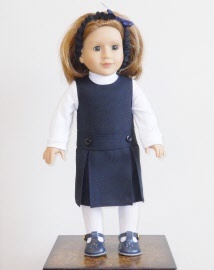 "First Communion Doll Dress Special" Free lace stockings when ordering a doll school uniform with a doll communion dress. Powered by ShopFactory to sell P42 online. All-in one eCommerce and online shopping cart software.